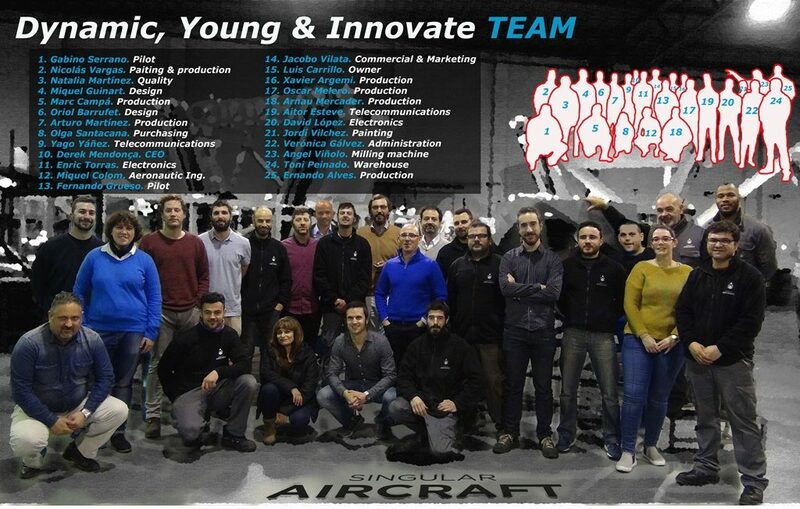 Singular Aircraft was founded by Luis Carrillo Lostao, looking for a way to provide a solution for pilots who risked their lives conducting aerial fire fighting operations. The initial phase was focused on firefighting, but after the first designs and tests the Singular Aircraft Team saw how The Flyox I could offer a variety of solutions as an alternative to traditional aviation functions, such as the transport of solid or liquid goods, surveillance or agriculture works. After two years of hard work by the team of engineers, the first prototype, called SA-03, made its first ground and water tests. With the results of those test, Singular Aircraft manufactured its first unit of the Flyox I series, which successfully performed its maiden flight on May 16, 2015 at the airport in Hofn, Iceland. Singular Aircraft are excited about the future with The Flyox and are optimistic and encouraged by the initial results. Singular will continue working with the aim of establishing the Flyox I as a reference point within the UAV market. Our design team is focused in the following areas ; seeking permanent improvements to the Flyox I, in order to ensure that it optimized to its maxium capability and to integrate of the various configurations as required by our customers. Based on the design validated by our engineers, our prototyping team implements the improvements proposed, and these are subjected to the most stringent tests for approval and quality certification. Meet certification standards of internal quality, thus allowing the development team to implement the improvements into the production line. Once designed and tested, all changes and improvements made , the next step is to commence preparation for the Flyox and to get it into the commercial market. We have a dedicated sales team who are focused on global areas where the FlyOx can be best utilized. To accomplish everything described, the team in place is a dedicated and innovative team of proffesionals.